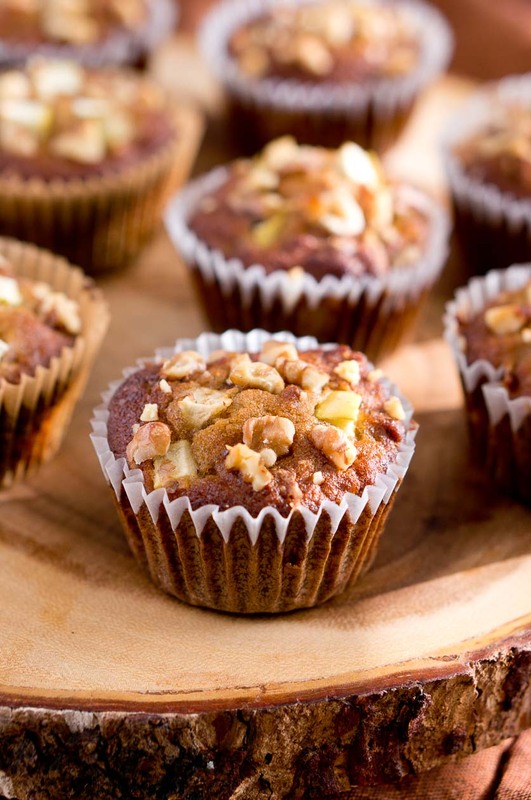 These healthy Apple Muffins are made with coconut flour, coconut oil, applesauce, maple syrup, chopped apples & walnuts – a delicious breakfast or afternoon snack. They are fluffy, with perfect texture and just enough sweetness to be irresistible. 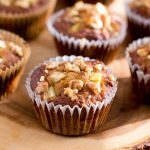 These healthy apple muffins taste amazing and you can’t even tell there is no flour and they are gluten-free. Coconut flour is difficult to work with but this recipe is foolproof and has been tested and retested to get the best consistency and delicious taste. It’s definitely a recipe I am going to keep in my back pocket for when I want to make a delicious and healthy afternoon snack. I was very excited when I received Regina’s eBook Coconut Flour: Pancakes, Muffins and Mug Cakes for review. I like to bake healthy muffins & pancakes but sometimes it’s so hard to create healthy muffins that also have a great texture and taste. 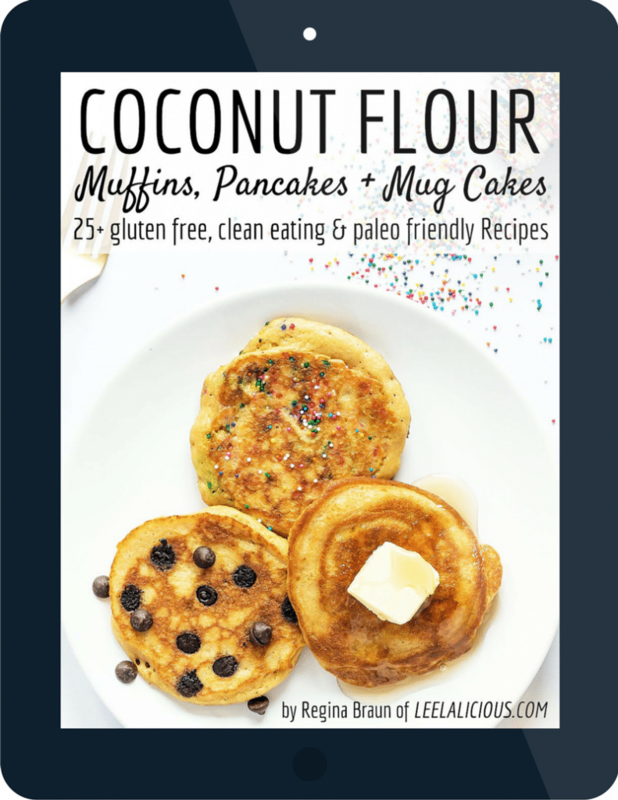 Her beautifully illustrated eBook includes 25 delicious coconut flour recipes of Muffins, Pancakes, and Mug Cakes – all gluten-free, clean eating and paleo-friendly recipes. She also includes mouthwatering pictures for each recipe. It can be tricky to work with coconut flour especially if you don’t have experience working with it. Because of its highly hygroscopic nature, coconut flour absorbs liquids very well and can leave the batter to feel rather dry. Regina has worked hours to do recipe testing and perfect her recipes in the eBook, so we can enjoy hassle-free baking with coconut flour. If you are looking for gluten-free and paleo-friendly recipes for delicious and healthy treats & pancakes, you have to check out her eBook. She also shares a video for making delicious grain free coconut flour pumpkin muffins. Her eBook is full of great recipes for pancakes, muffins and mug cakes. I tried one of each category, and the texture was perfect every time. I love the fact that all of the ingredients are clean & healthy, and I won’t feel guilty eating a muffin for breakfast or for an afternoon snack. How to use coconut flour successfully in your baking? How to bake coconut treats that turn out moist and healthier? How to use coconut flour in your favorite baked treats? Also, check out her coconut flour recipes videos to see how easy, quick and delicious her recipes are. 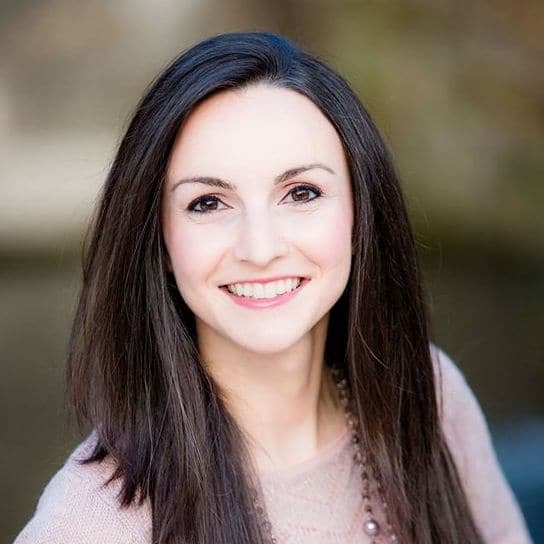 If you want to connect with Regina from Leelalicious, you can follow her on Twitter, Facebook, Instagram & Pinterest. Let her know how much you loved this recipe! Enter the giveaway to win some amazing products! 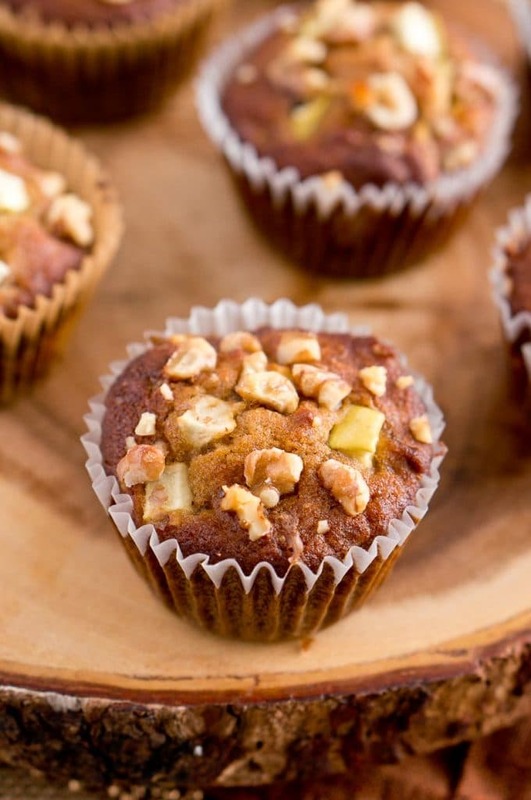 Blendtec blender to whip up this delicious Healthy Apple Muffins recipe, as well as the rest of the amazing coconut flour, treats from Leelalicious’s Coconut Flour eBook. Also, win some coconut products from Better Body Foods, and of course you will get the Coconut Flour Muffins, Pancakes and Mug Cakes E-book. In a bowl, whisk together coconut flour, tapioca flour, baking soda, salt, and apple pie spice mix. In another bowl, whisk together the wet ingredients (eggs, applesauce, coconut oil, maple syrup, and vanilla extract) until smooth and combined. Fold diced apples and walnuts into the batter by hand, set some aside for topping. 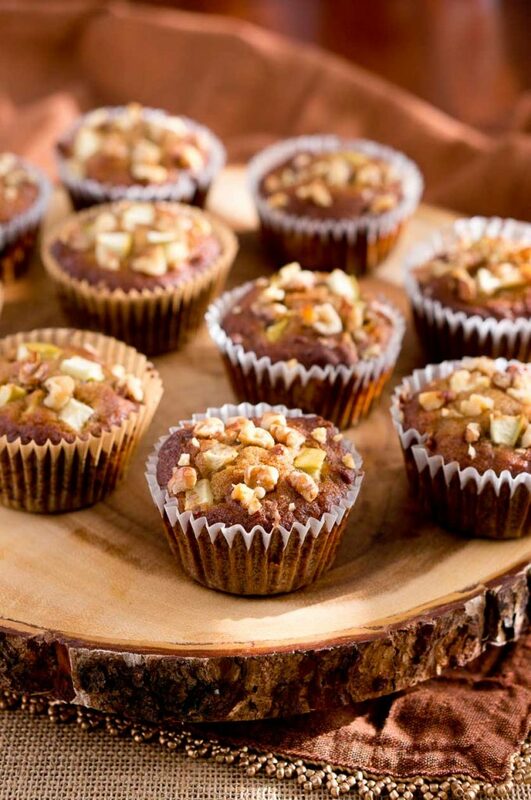 Divide batter into 12 muffin cavities and top each with a few apple and walnut pieces. Bake for 17-20 minutes until a toothpick inserted in the center comes out clean. 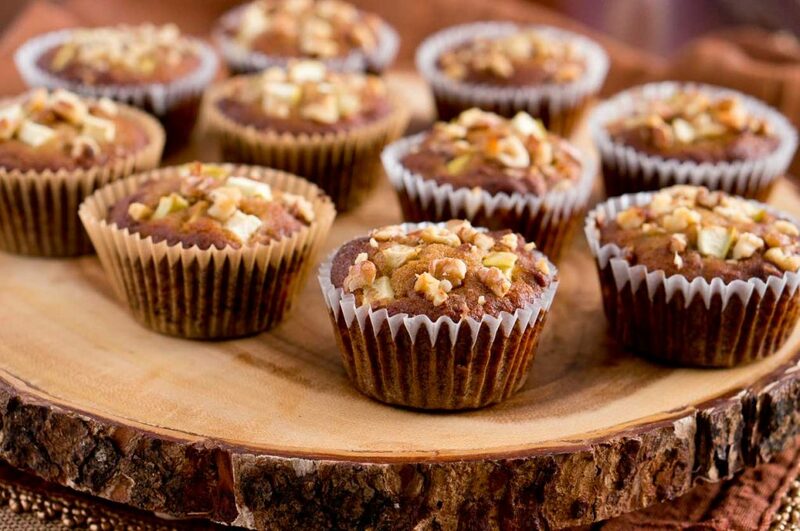 Your photos of these muffins are beautiful Neli! I will have to try the apple muffins. I have loved Regina’s other recipes so far. A bad coconut flour recipe can really put someone off of using this healthy and delicious flour, so Regina’s book is a great place for newbies to start! Thanks, Michelle! 🙂 Yes, Regina’s book has a lot of delicious recipes, and I can’t wait to try all of them. 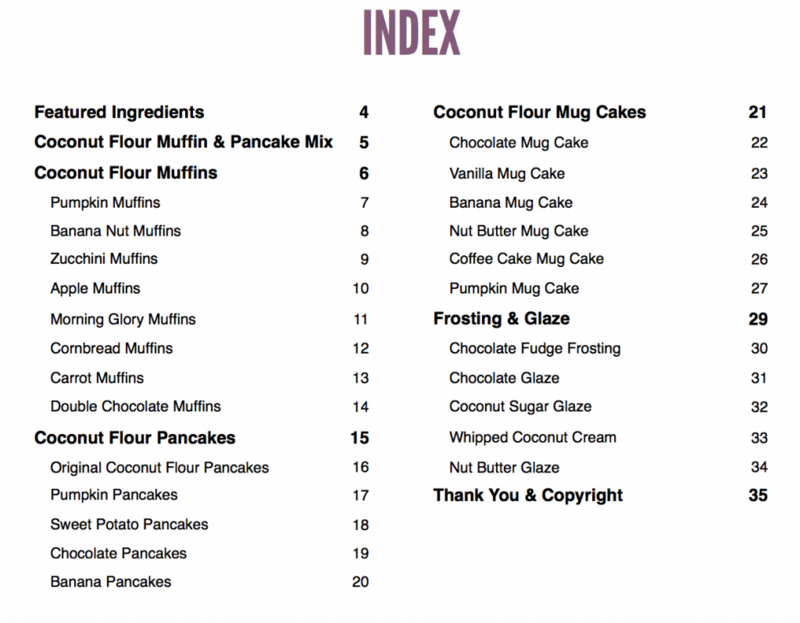 I think i would love to try the coconut flour pancakes first. I Want to try apple muffins first! I’d try the Coconut Flour Chocolate Muffins first. Sounds yummy! Well, one nephew loves muffins, so the Apple Muffins would be great to make first. BUT the other nephew loves pancakes, lol, so I might try pancakes. Those muffins look amazing – I think I would start there. I am a total sucker for pancakes, so I would 100% try those first! Love a good muffin in the morning!